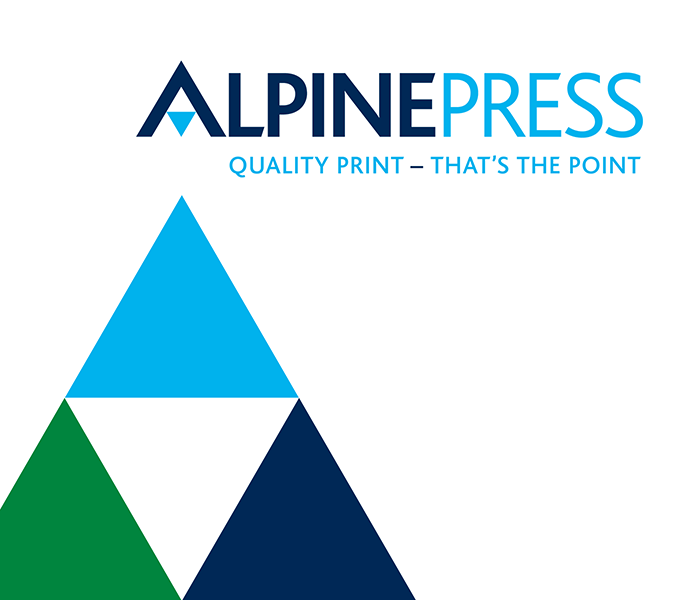 Family-run commercial printers Alpine Press have had their pyramid logo for several decades. Although starting to look tired it had become a recognisable trademark. 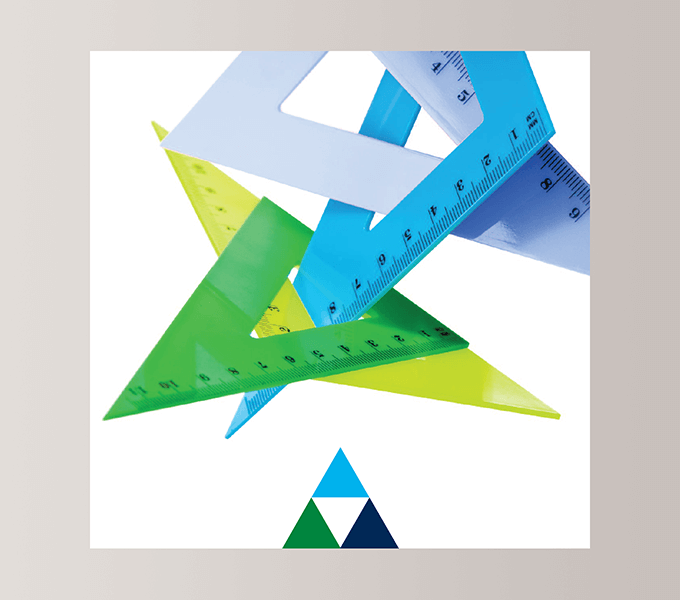 So when a director approached us to develop some marketing material for them we suggested a refresh. 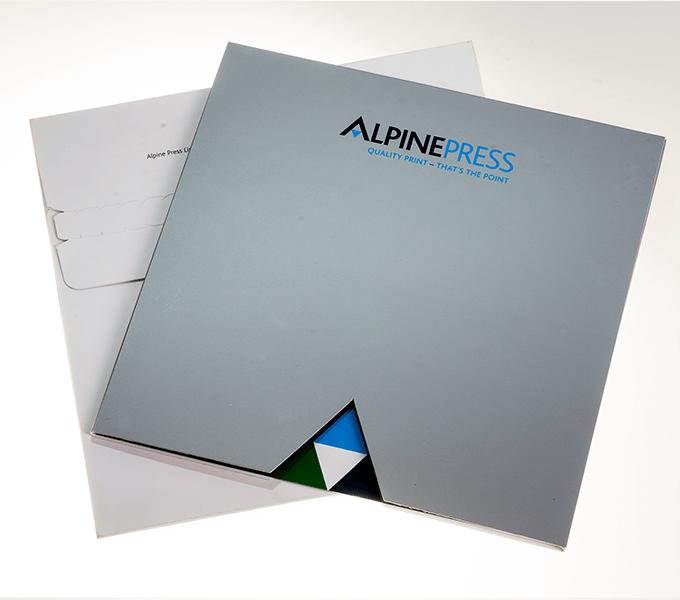 The revised logo and strapline have now been applied to stationery and signage, and the triangle theme developed onto a brochure wallet with inserts describing their services. 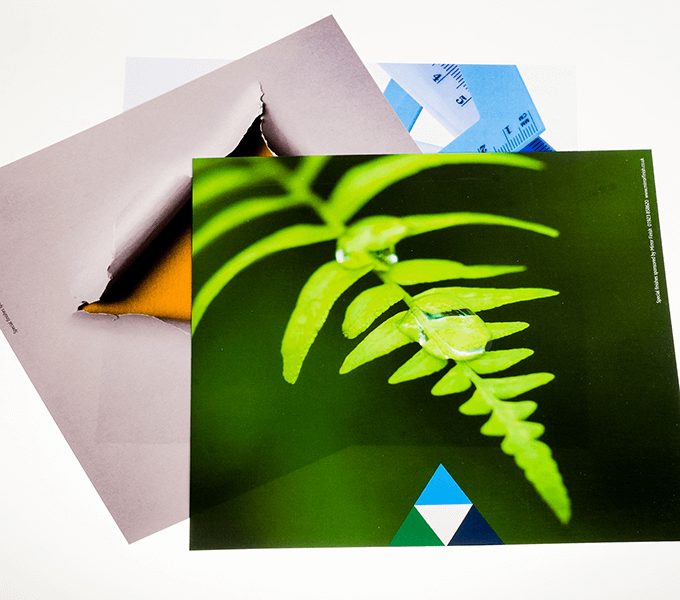 We chose a set of triangle-themed abstract library images to appear on the inserts which were printed on different stocks and feature special finishes.